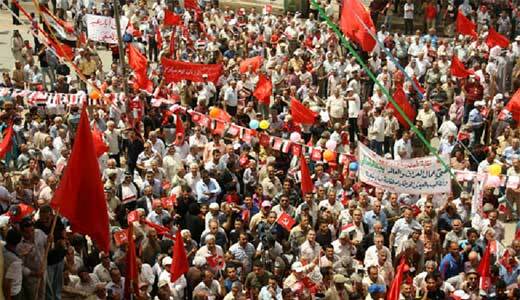 BAGHDAD – I participated in the May Day march in central Baghdad organized by the Iraqi Communist Party. Thousands marched, waving red flags and raising banners with workers’ and trade unionist demands. The mood was defiant but also jubilant. The government initially refused to give a permit for the march to start from Firdos Square and end up in Liberation (Tahrir) Square. The refusal came only four days before May Day, despite the fact that the request was made by the party eight days earlier. The pretext for the refusal was flimsy, claiming that demonstrations in Liberation Square are not licensed and that there is maintenance work in Firdos Square. This was exposed as a lie when a demonstration in Liberation Square was licensed on the same day that the refusal was given to the Communist Party! The party issued a statement, widely covered by Iraqi media, that considered the government refusal to license the May Day march as a premeditated act. It has followed several other recent measures to harass the Communist Party and curtail its activities, including a blatant attack by security forces on the headquarters of its daily newspaper Tareeq Al-Shaab (People’s Path) in late March. The party statement also considered this latest move by the government to be another effort to suppress freedoms and the right of expression that are guaranteed by the constitution. The party has also stressed that it has the right, in accordance with the constitution, to organize activities. Following broad support for the party position and its right to organize the May Day march, the authorities were forced to give permission, but with a different route. 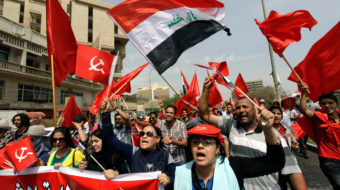 The march did take place, on May 1, starting from a main square at the National Theatre and ending with a mass rally at the headquarters of the party in Andalus Square in central Baghdad. 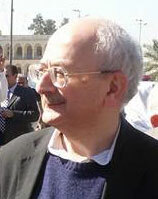 The event attracted exceptional coverage by Iraqi media. Party leaders were interviewed by several TV stations Monday night following a controversial statement by Prime Minister Nouri al-Maliki, timed with May Day, in which he criticized resorting to demonstrations and raising banners! 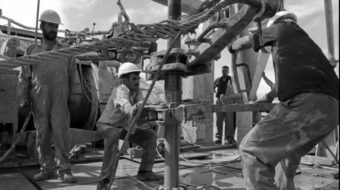 It was widely seen as a reaction to the events organized by the Communist Party in Baghdad and other provinces to celebrate May Day. 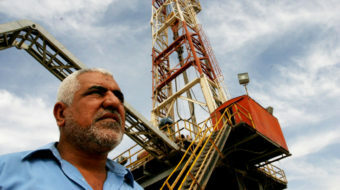 There were demonstrations in Basra, Hilla, Diwaniya, and Nasiriyah. The Kurdistan Communist Party also organized a rally in front of the Kurdistan regional parliament in Arbil, and a demonstration in Sulaimaniyah.